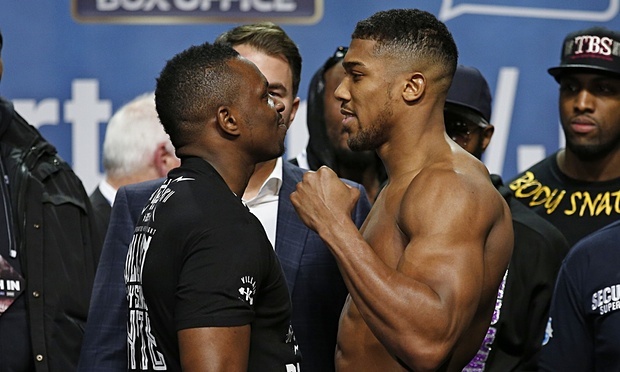 Anthony Joshua faces his bitter domestic rival Dillian Whyte in a British and Commonwealth heavyweight title fight at a sold-out O2 Arena in London on Saturday December 12. Tensions spilt at a press conference on a fiery afternoon in London ahead of the pair’s British and Commonwealth title showdown – live on Sky Sports Box Office – and the long-time rivals had plenty to say to each other when they went head-to-head for photos. 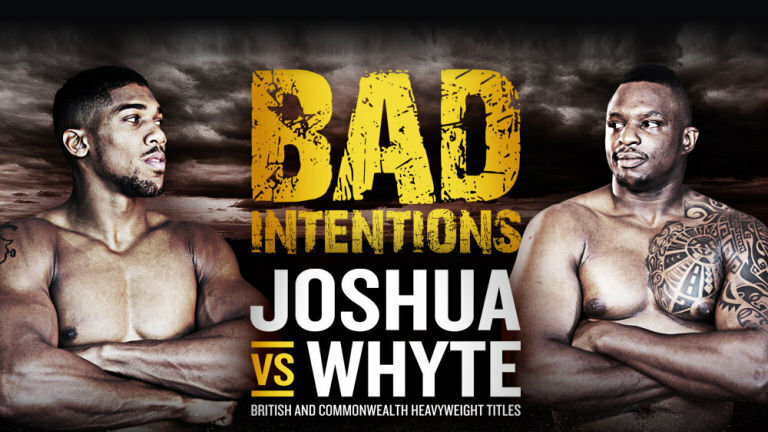 Whyte had warned that the bad blood between them would not end with their clash in the ring, telling Joshua: “December 12 is not the end of it. I’m going to find you.” This could be brutal! 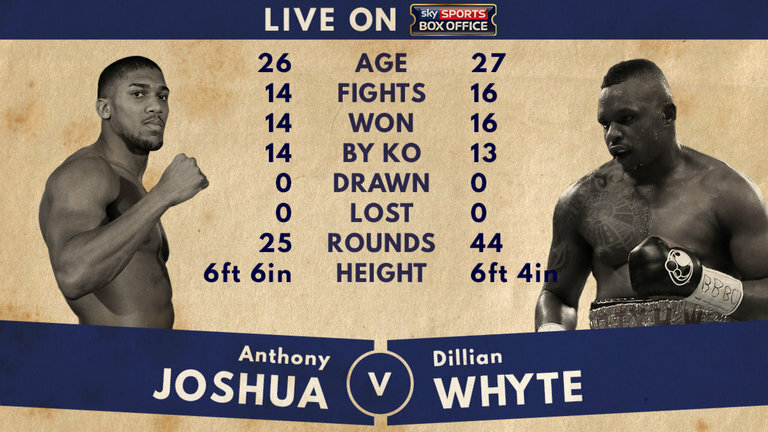 Underdog Whyte (16-0-KO13) tipped the scales at 17st 9lb before Olympic champion Joshua (14-0-KO14) weighed in two pounds lighter ahead of their long-awaited showdown. Joshua v Whyte heads a stellar night of boxing which also features top British stars including Luke Campbell, Tony Bellew, Chris Eubank Jr, Dereck Chisora and Kevin Mitchell on a stacked under card. We do wish both fighters the best of luck and hope to see a great fight all while we anticipate a massive bout in UFC with Jose Aldo and Connor Mc Gregor definitely an amazing night for fight fans!! !